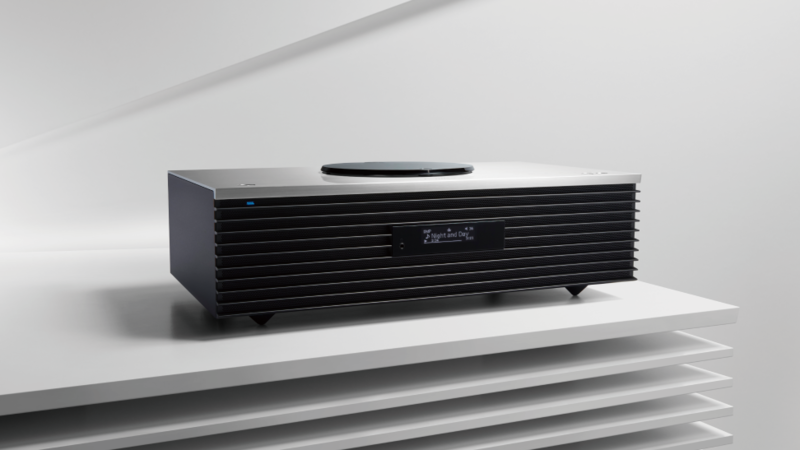 The Technics Ottava series introduced 1½ years ago has gotten an atomic sibling, the SC-C70 or more poetically Ottava f, that sits on your shelf and plays all by itself. At an alluring price half the Naim MuSo it looks mighty tempting from that perspective alone. Stacking a CD transport on top of that makes it that much more interesting right there. Big sister SC-C500 received some mixed reviews, mostly targeting a less than optimum price-quality ratio. This time that ratio appears to be more inline with expectations in its price range. The all-in-one unit packs a 100W amp feeding 2x30W to the stereo front and 40W to the sub woofer, which all things considered, is very small. On the input side it plays not only CDs but also hi-res audio files in pretty much every conceivable format. What it does not, however, is support multi room synchronicity which could prove to be a suicide omission.